Since the introduction of PUWER (the Provision and Use of Work Equipment Regulations) it is more important than ever to make sure you and your staff are correctly trained. PUWER requires that the risks to a persons Health and Safety, from equipment that they use at work, must be prevented or controlled. 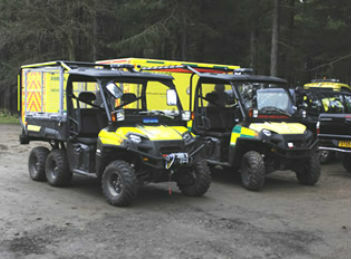 Quad bikes and ATV’s should only be ridden by those who have received appropriate and adequate information, instruction and training. Therefore PUWER requires employers to provide adequate training, including the use of any towed equipment or attachments and to ensure that quad bikes/ATVs are ridden only by employees who have received adequate training in their safety use. The regulations also apply to the self-employed. If you are an employer, or self-employed person and you provide or hire a quad bike/ATV for use at work, or if you have control of the use of equipment, then these regulations will apply to you. Our one day course is a BORDA (British off Road Drivers Association) certified course, officially known as an “ATV Stage 1 course”, and can accommodate between 1 – 4 candidates. The course will enable participants to meet the requirements of The Provision and Use of Work Equipment Regulations 1998 (PUWER) and each candidate will receive a BORDA certificate on completion. We can carryout this course at a number of our venues or at your own site if deemed suitable. Course prices start from £96.50 + VAT per person and depend upon the number of candidates, venue, travel and hire of extra equipment.